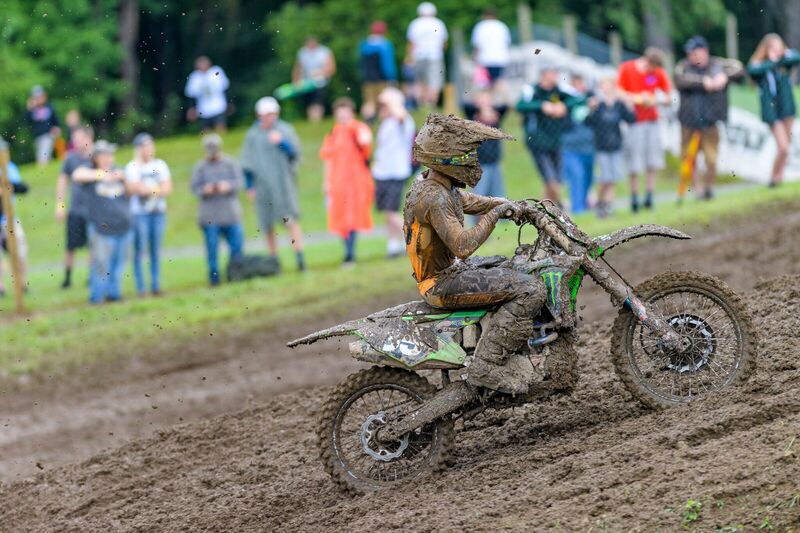 New Berlin, N.Y. (August 12, 2018) – Monster Energy Pro Circuit Kawasaki’s Joey Savatgy and Austin Forkner faced incredibly slippery and muddy conditions at Round 10 of the Pro Motocross Championship at Unadilla MX after the skies opened prior to Moto 1. The duo overcame their share of difficulties, with Savatgy still managing a moto podium in Moto 2. Savatgy’s 8-3 score pushed him just off the podium in fourth, while a tough first moto for Forkner placed him 14th overall with a 23-9. 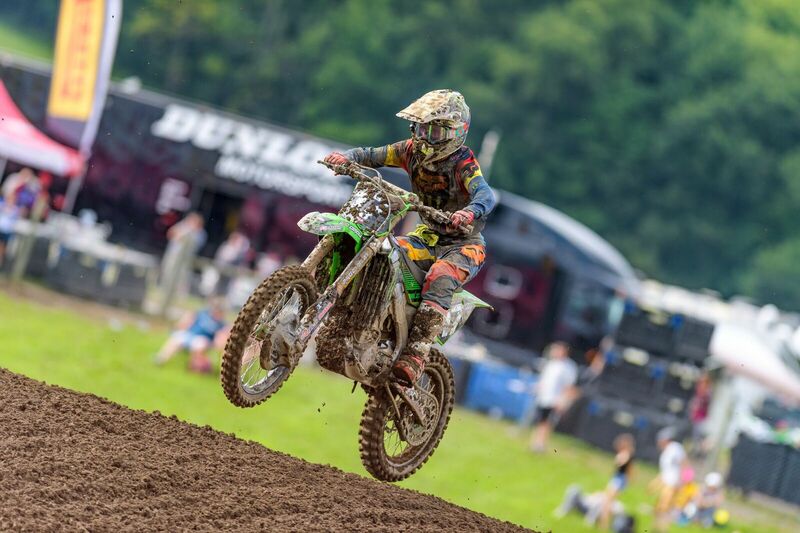 With the day starting out dry, the riders were setting a fast pace around the Unadilla circuit. That included Savatgy who claimed the top qualifying spot in the morning. The skies soon opened up before the first moto, changing the track considerably and making for difficult conditions. When the gate dropped on Moto 1, Savatgy was at the front and trying to make a charge when he went down. He remounted quickly and came around the first lap in 14th. Despite not being able to push very hard to avoid going down, he still managed to get back up to eighth. In Moto 2, Savatgy got another good start and was in fifth after Lap 1. He would battle for the fourth spot and by the end of the moto would make it up to finish on the podium in third. His 8-3 score was good enough for fourth. Forkner has been fighting a bit of bad luck the past few rounds and the rain didn’t make for the best conditions to showcase his speed. Moto 1 he went down early and went all the way back outside the top-30. 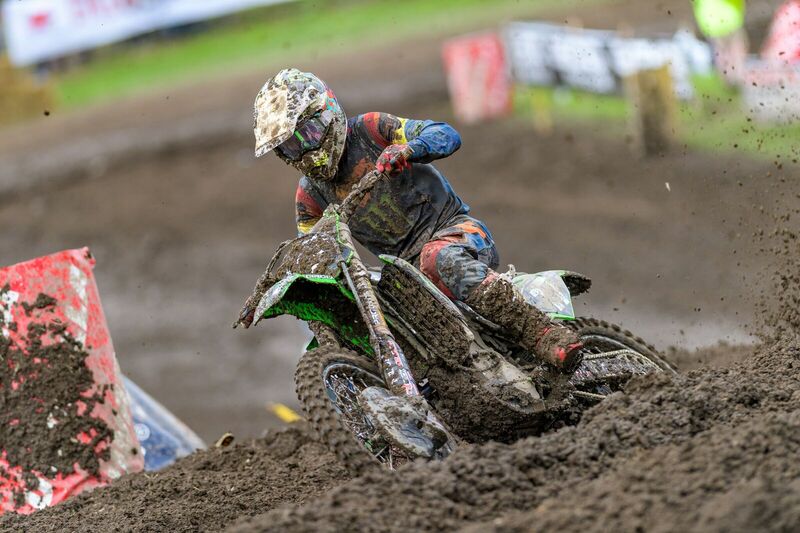 Forkner had something to prove as he pushed in the tough conditions all the way back to 23rd. Looking to put in a solid Moto 2 result, he got a great top-10 start and maintained his speed throughout the moto to finish ninth. His 23-9 score placed him 14th overall. To find out more about Pro Circuit products, visit www.procircuit.com. Don’t forget to follow the Pro Circuit race team on Facebook, Twitter and Instagram using the handle @pcraceteam and subscribe to the Pro Circuit “Inside the Shop” email newsletter here.